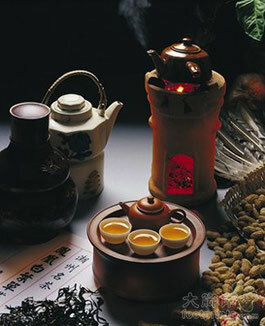 Gongfu tea is famous in every household in chaoshan district. It is often the case that they make tea and serve their guests. Chaoshan gongfu tea is very well-known custom in China culture and it is one of four Golden Flower in the southern place. The fundamental spirit of it can be seen as the following: peace, love refinement and nobleness. Peace represents the harmonious atmosphere. Love represents the kindness, refinement represents the beauty of tea set and the particular way of making tea and nobleness represents the nobility of the mind. 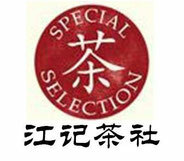 The Zisha Clay teapots are producted in Yixing,Jiangsu Province. 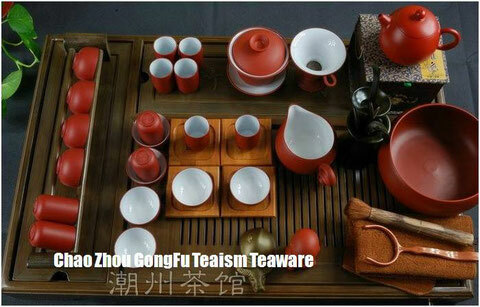 The Zisha Clay tea-wares are precious handicrafts ,which are collecting as objects of art . The inside wall of the white porcelain tea-sipping cup preserves the fragrance . It allows the drinker to smell the frangrance remained in the cup after sipping the tea . The tea basin is used for washing teacups or holding litters such as fruit skins ,peedings ,and seeds . The Fair Mug is mainly used to balance the thicknees of tea liquor . Green tea is a non-fermentesd tea with qualities often known as “one tender and three green”. “one tender ” refers to tender tea leaves , and “three green”refers to thegreen colored tea leaves ,the green colored tea liquid ,and the green colored tea dregs . Black tea is the compiete fermented tea . Tieguanyin tea (Iron Mercy Goddess )is the most farmous Oolong tea ,which is grown in Anxi ,Fujian Province . 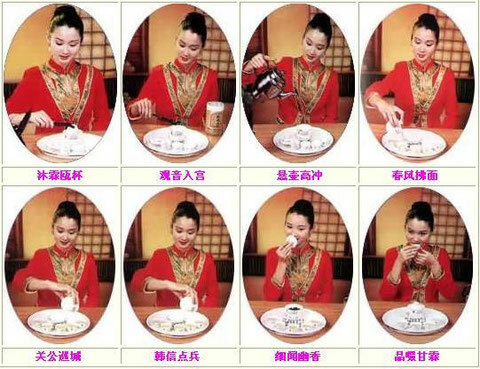 Judging by their different characters ,pu’er can be divided into two categories as raw pu’er and fermented pu’er . Raw pu’er tea ,which is made of the tender leaves of the broad-leaf tea tree in Yunnan province ,is the green tea dried in sun. “Water is the mother of tea .”The quality of water is essential to the flavor of tea . 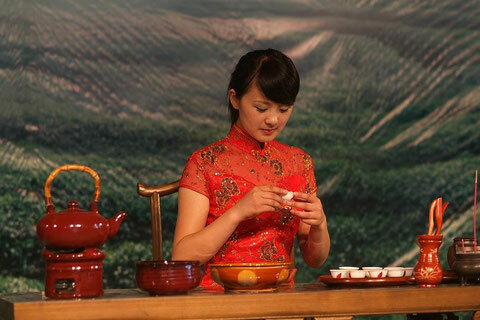 敬奉香茗：now it is time for our guests to enjoy the tea.